​For help with CruzID Gold, click here. ​WARNING!  The above link launches the University of California Santa Cruz Effort Reporting System login process. Access is limited to authorized UCSC employees only. Unauthorized access is prohibited. Fall 2018 Federal Effort Report certification was due on April 15, 2019. Federal effort report certifiers who have effort reports that remain uncertified were sent a late reminder requesting certification without further delay. For a copy of the message, ​​click here. Federal effort report certifiers were reminded by email to certify Fall 2018 effort reports by April 15, 2019. Federal effort report certifiers were notified by email to certify Fall 2018 effort reports by April 15, 2019. For a copy of the message, click here. ITS began rolling out Multi-Factor Authentication to staff at the Scotts Valley Center on Monday March 4th. You may enroll via the ITS Enroll Your Device page and choose your preferred device option (Smartphone, Landline, SMS, etc.). As of April 1st, MFA will be required for SVC staff when accessing CruzID Gold enabled systems (e.g. CruzPay). For assistance with MFA related issues please contact ITS or visit the MFA Home page. The web-based UCSC Effort Reporting System (ERS) tracks certification of effort expended on federally funded activities as required by the US Office of Management and Budget Circular A-21 and Uniform Guidance for Federal Awards.